Home » our annual winter sale starts November 20! 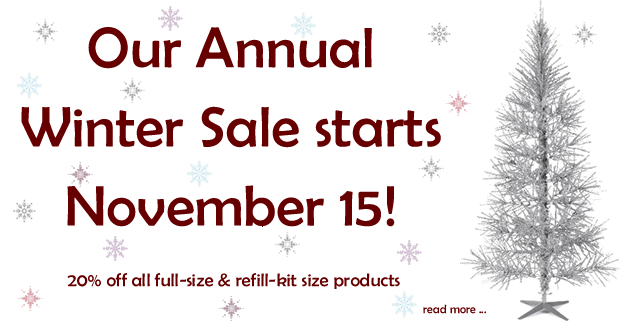 Our Annual Winter Sale starts tomorrow, November 20. From Friday, November 20, 2015, until Thursday, December 31, 2015, all of our full-size and refill-kit-size minerals will be on sale at 20% off. This sale runs for such an extended amount of time as we want to make sure that everyone has a chance to order samples, test them out and still have enough time to order full-size jars or refill kits. Sale ends midnight Thursday, December 31, 2015.